Thomas Tsubota was born in 1915 in Honolulu, Hawaii. As a young man, he was an avid bicycle racer and won many trophies. He qualified for the 1932 Olympic trials in Los Angeles, but his parents could not afford to send him and he did not have a sponsor. Tsubota went on to attend Waseda University in Tokyo, Japan, graduating with a degree in economics. He then obtained another degree from Meiji University, also in Tokyo. 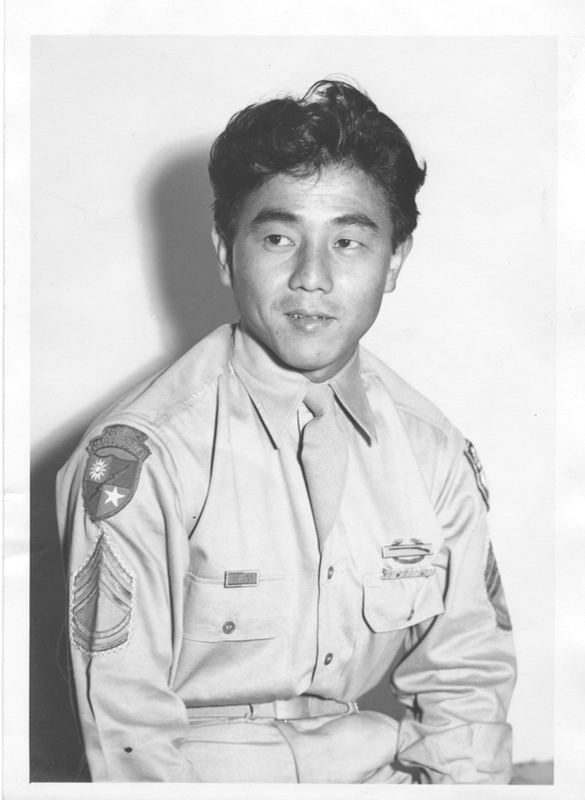 After he returned to Hawaii, he was drafted in June 1941 and joined the 298th Infantry of the Hawaii National Guard. An original member of the 100th Infantry Battalion, Tsubota and his wife Miyoko married in April 1942, just about two months before the 100th left Hawaii. He was promoted to platoon sergeant when the 100th was stationed at Camp McCoy. 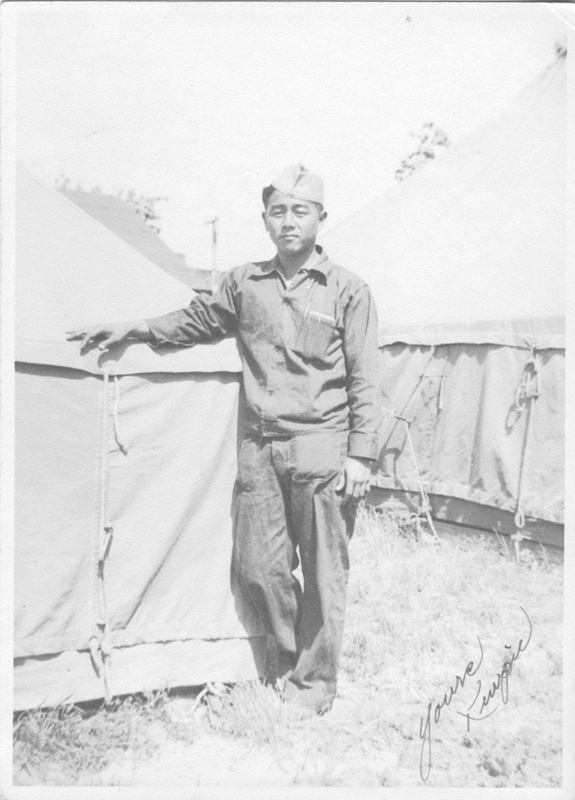 When recruiters for the Military Intelligence Service arrived at Camp McCoy in late 1942, he was immediately selected because of his fluency in Japanese and educational background. 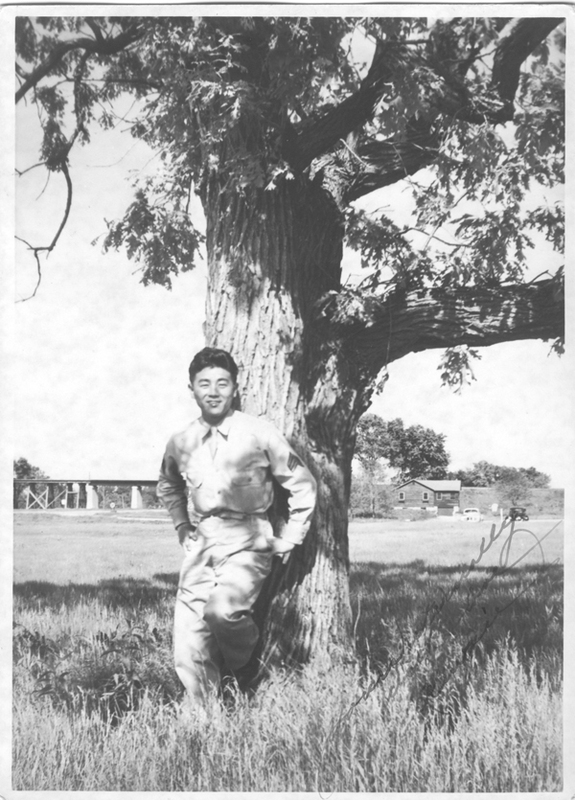 Around August 1943 after Tsubota had undergone training at the M.I.S. school, he volunteered for what had been described as a secret and dangerous mission. The unit he joined was eventually called Merrill’s Marauders and fought in the Burma campaign. He wrote an article in 1993 that described his experiences. After Tsubota left Burma, he went to Egypt on leave for two weeks where he road camels and saw the pyramids. He then took a plane that flew to Iran and two places in North Africa. After arriving in Italy, he took a ship back to Boston and then made his way to Camp Beale in Sacramento, California before finally returning to Honolulu. Click here for Tom Tsubota’s Memoirs.